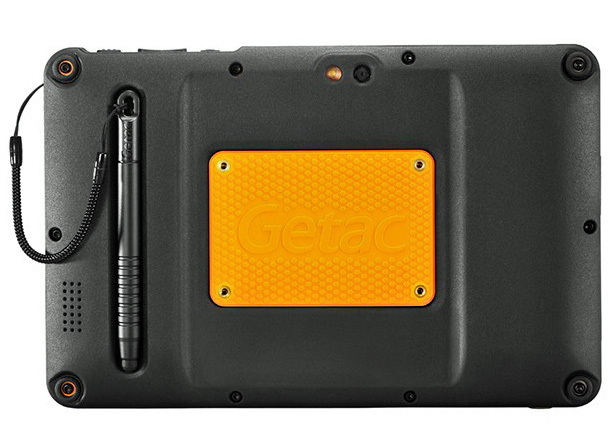 The Getac Z710 was the first fully rugged Android tablet. 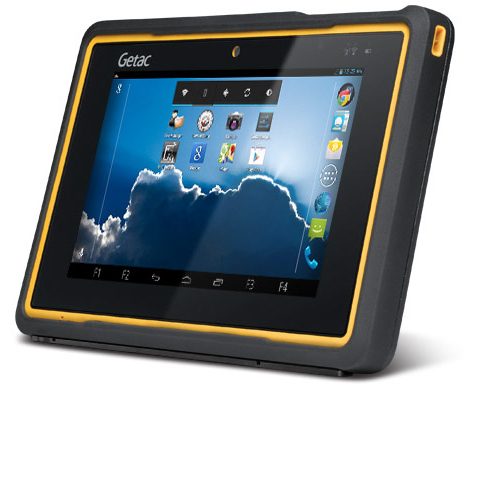 Featuring a housing that passes ATEX explosive atmosphere tests it is both rugged and portable. 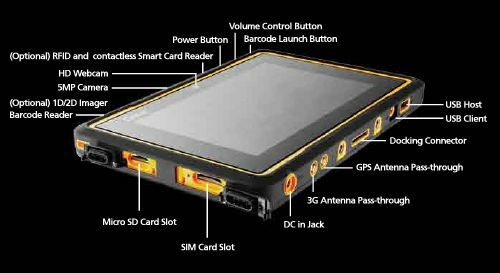 The display is a 7″ 7.0” TFT LCD WSVGA (1024 x 600), which uses Getac’s LumiBond™ sunlight readable display technology and has a glove-on capacitive touchscreen. The whole thing measures less than 9″ x 6″ x 1.1″, and weighs 1.77lb (800g). The stylus is held in place by a very strong magnet – you basically have to yank it off using the tether because it’s so strong. It’s a good bit of design; works well with gloved hands. The e-compass/gps feature is fun to play with – it gives you your precise latitude and longitude, speed and direction as well as offering an electronic compass complete with pitch and roll information. ‘Handy for ship-board inventory management!